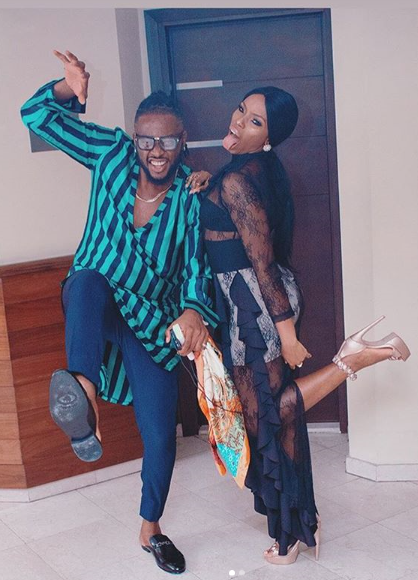 Former Big Brother housemates, Bam Bam and Teddy A, had it all going while spending their time at the house but never confirmed to be an item. 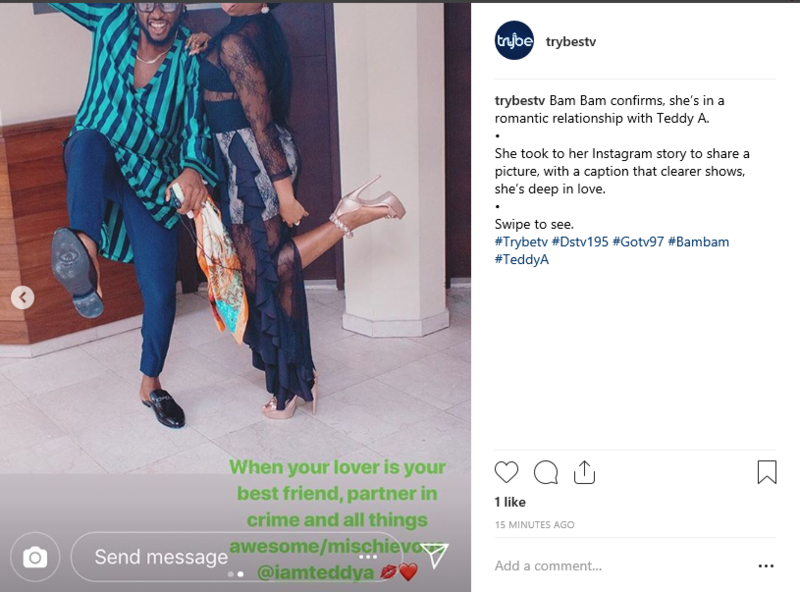 Bam Bam has made it official, after she took to her Instagram story to share a picture, stating she’s deep inlove with Teddy A. 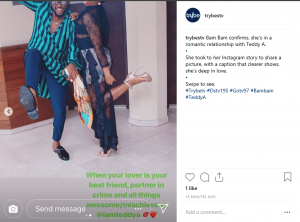 She caption: When your lover is your best friend, partner in crime and all things awesome/mischievous @TeddyA.